Rare Massive 4br (conv 5) Loft in Prime NoHo. Once in a lifetime opportunity to create your dream home on Noho's best block. Twenty-one (21) Windows - with open and sunblasted views to the north, east, and west flood the loft with truly spectacular natural light. A fifty-six (56) foot Great Room with soaring loft height ceilings and a wood-burning fireplace, is an entertainer's dream! The catering-sized chef kitchen area is truly tremendous and perfectly located. Everything is in the right place- just waiting for you to personalize and punctuate. An east and west wing afford the ideal bedroom layout. 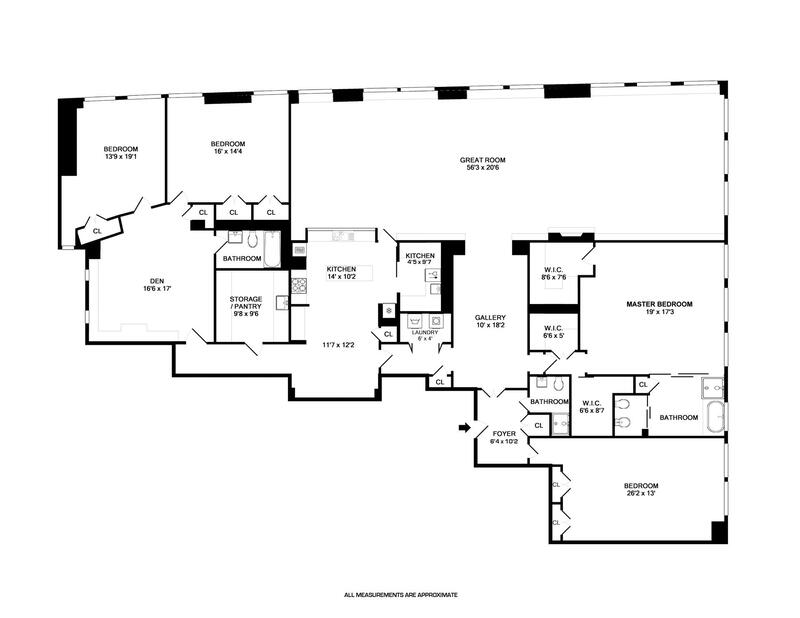 The sprawling floorplan is stunning and showcases 3 sides of oversized windows and views! This loft space must simply be seen to be believed. Truly an unprecedented opportunity. There has not been a property of this size and caliber offered in Noho in the last decade, they simply do not exist. This boutique co-op has a great common-roofdeck and a beautifully renovated lobby. See for yourself, quickly!